How Important Your Logo Design Is? Lots of people ignore the significance of their logo design and consider it as a component they simply use on a website or brochure. The things they don’t realize is the logo is a visual representation of any company and will help make or break your business. Your logo need to symbolize your companies’ values, what services you provide and the way you deliver it. Your logo is definitely an embodiment of your business and is the first thing that clients, suppliers and associates think about every time they visualize your business. When you recall large corporations like McDonalds, Coca-Cola, Nike and Adidas, all of their logos are clean, simple and bold and so are quickly recognizable. Creating an effective and remarkable logo requires time and expertise. Analysis should be carried out before a logo is produced – Who is in the marketplace? 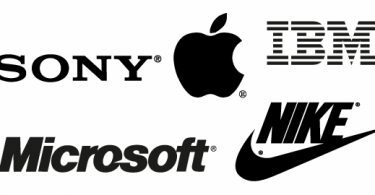 What logotypes within this sector have been trademarked? What are the major products and services offered? What are the organizations values? 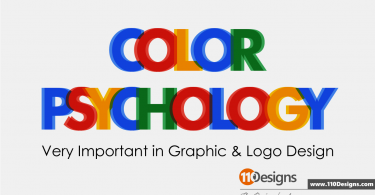 These studies are essential for designing a logo which will strike your markets away. Once you’ve these answers you should spend more time in making a graphical or typographical representation of your business which is your logo design. Each swoosh, each line and every font on the page must be considered and scrutinized – what information do they provide and are they suitable? If you do not like the answer then you definitely return to the drawing board. You will not get this level of treatment and focus from a company who provides a free logo design with each website designed. I can’t find out how a mind-blowing logo design can be done for just $50! For these kinds of price ranges the ‘logo designer’ just can’t be setting up the required time to research and create a logo that adequately attracts your target market. Then you definitely end up with a cheap, poor reason for a logo design. You should be creative – are you able to communicate a message visually? Being a master of the aforementioned requires quite a lot of time and skill. If you’re now thinking ‘I am happy with my free logo design’… great! But what about your markets? Cheap logo designs make off a stench and your clients can sniff them out a mile off. You deserve to be proud of your logo and your markets should be impressed by it along with your overall brand presence. Don’t compromise! if you are reading this considering I need a brand new logo design or my existing logo design doesn’t come up to scratch either launch a logo design contest now or find yourself a logo designer with an outstanding portfolio. Don’t just pick the cheapest designer, only your business will lose out in the end. Portfoilo – For me personally this is the most essential. If you do not like what you see then they are not the designer for you. In my eyes a portfolio doesn’t need to be plentiful, it just needs to show quality. Cost – Obviously, the end result is always important. In fact, you don’t want to re-mortgage your house in order to have a professional looking logo design! But don’t just agree to the cheapest quote you receive. There is a very good reason, if it is the cheapest quote – they just cannot put in the time or effort your logo design deserves. OK, rant over! If you need a professional looking logo design, the ultimate place to get started is here, launch a logo design contest and get unlimited quality logo designs to choose the best from. Let’s hear your views, are you a ‘designer’ who gets disappointed at other companies cheapening your trade? Or have you ever been let down by a logo designer who left you with a bad logo design? Get Started Now with 110Designs.com! What Does a Corporate Logo Do? What Logo Design to Choose for Your Business?